What a great dress!I have recommended the site to so many friends because I am so impressed with the two different dresses I have received! Good quality and great price! Thank you hebeos! 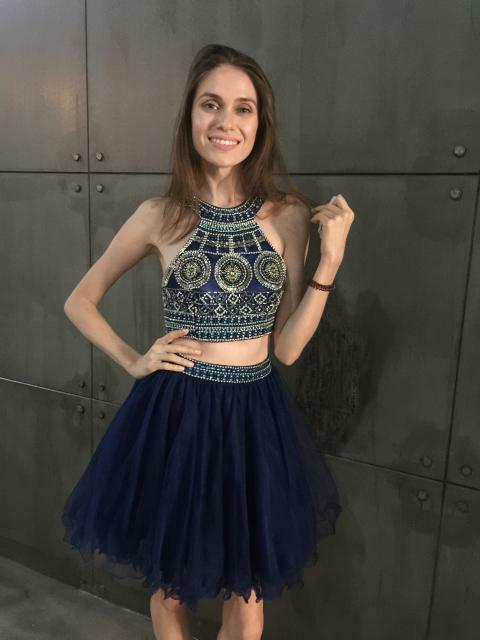 Ayer encarge mi hermoso vestido, espero en Dios que todo me salga bien y me llege bien hasta mi casita, Nicaragua! 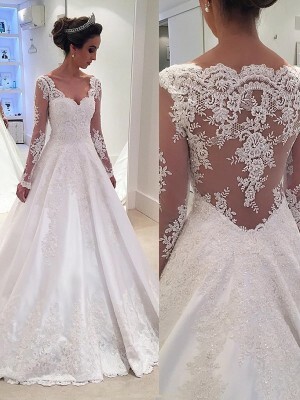 el vestido esta lindo todos estan lindos pero uno es mi favorito el que llevare puesto en mi boda, estoy hanciosa xq me llege pronto. great value and smooth delivery. Das Kleid ist wirklich sehr toll verarbeitet. Was mich nur leider sehr stört, ist dass die Papp Etiketten über ein dickeres Band in die Seite mit eingenäht sind. Selbst wenn man das wegschneidet sieht man die reste des banden hervorgucken bzw. läuft gefahr das Kleid zu beschädigen wenn man versucht es möglichst kurz abzuschneiden (ich habe mir ein Maßgeschneidertes Kleid gekauft). This dress fits like a glove! I ordered a general size figuring it would need altered, but it is as if it was made for me. This is not my first marriage and this dress is perfect for more mature brides who want an elegant, sipmlistic wedding. 5+++ stars! what an amazing deal! The dress looks as good as one you would buy from a designer store, but you save a ton of money.I am so happy. Hello! For every girl wedding - an exciting event to be held at the highest level. So you want to feel like a princess, one and only!!! And to be the most beautiful! Of course the love and support of loved ones all, but a wedding dress - no less important element that helps to enhance the beauty and personality of the bride. It's rare that a dress bought on-line looks as good as it did in the picture when it arrives. This one did! I was so happy when I opened it and put it on! The material and the workmanship are both of high quality and I received the dress in a very timely manner. The color chart provided is also very helpful. I would happily shop here again and recommend this service to my friends. I love my gown!!! Definitely worth it!!! Looks expensive!!! tolles Kleid, tolle Qualität und die Verarbeitung ist wirklich sehr gut. Die ganzen Details sind sauber ausgearbeitet und an alles wurde gedacht. Ich bin richtig froh und freu mich das Kleid auf der nächsten Hochzeit zu präsentieren. Ich werde auf jeden Fall wieder hier bestellen. This dress is very stretchy and isn't too revealing. Take the advice of everyone and buy a size larger than you normally wear. I just had a baby and needed a dress that would fit my after-baby body and this dress was an answer to my prayers! Can you please tell me how this dress does up? 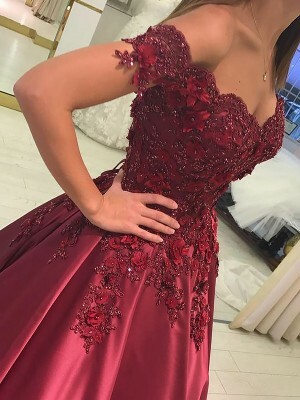 Wow this dress is beautiful! There are of amazing value, colour perfect. Sizing slightly larger than expected but thats really not a problem to get fitted when i need to. prachtig, past perfect!!! heel mooi!!! Does i need a petticoat for this wedding dress??? I bought this dress for my mother, for my wedding. Material is nice and the recengy colour fits really well. I ordered a custom fit dress and when I received my dress it was so beautiful. I love that I got the dress of my dreams for 1/2 the cost of other bridal stores. I will provide a picture later. My dress is GEORGEOUS!! Dress-market is an awesome site! My dress is perfect, I love it!! !it was great and the service is great. I like the way you deliver your items.Very pleased with the work of Your shop!The goods of high quality and fashionable. I will be glad and continue to use the services of Your shop. I was very pleased with your website,also i like the dress very much.it came very fast and it was a perfect dress.